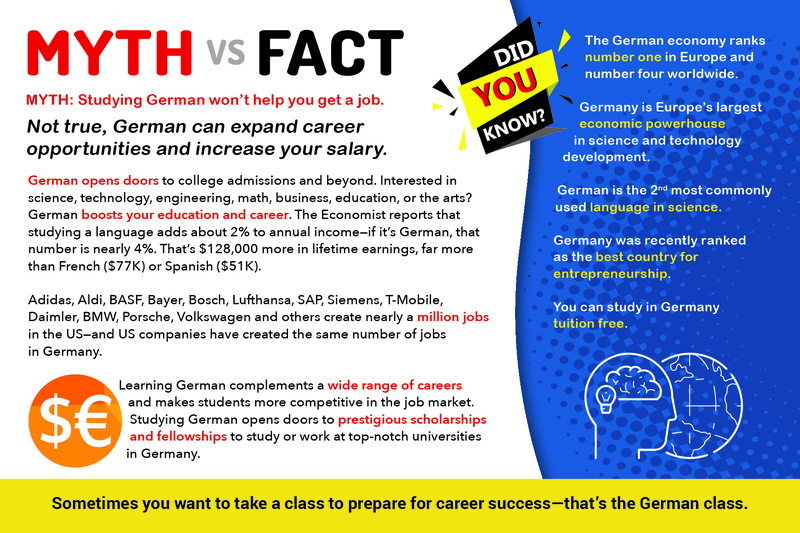 You can request promotional materials that include posters, postcards, an infographic for guidance counselors, and other giveaways! 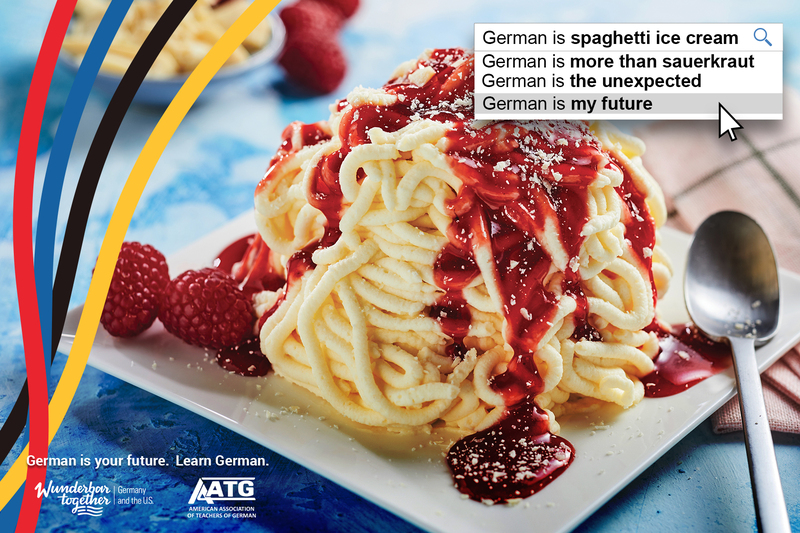 In celebration of the Federal Republic of Germany’s Deutschlandjahr USA/Year of German-American Friendship and the motto Wunderbar together, AATG has launched a new promotional campaign “German is my future”. 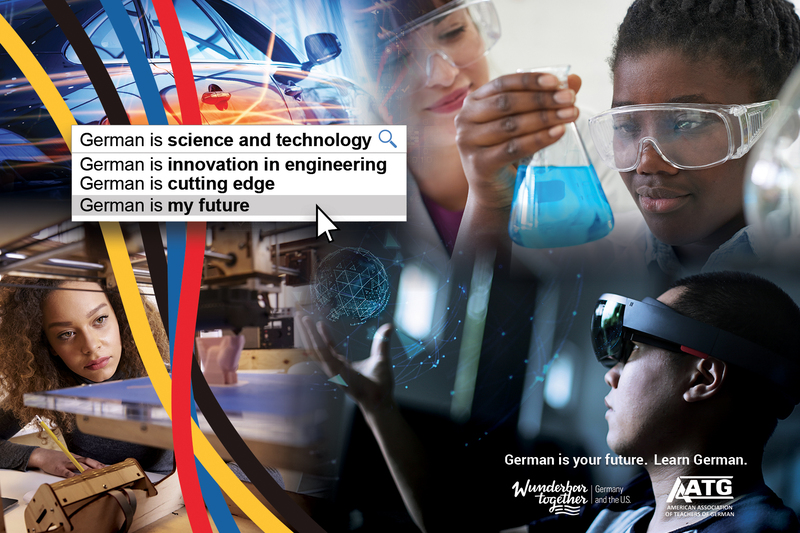 The campaign is focused around search engine results for “German is…” and highlights connections to travel, career, sports, entertainment, STEM, and the unexpected. 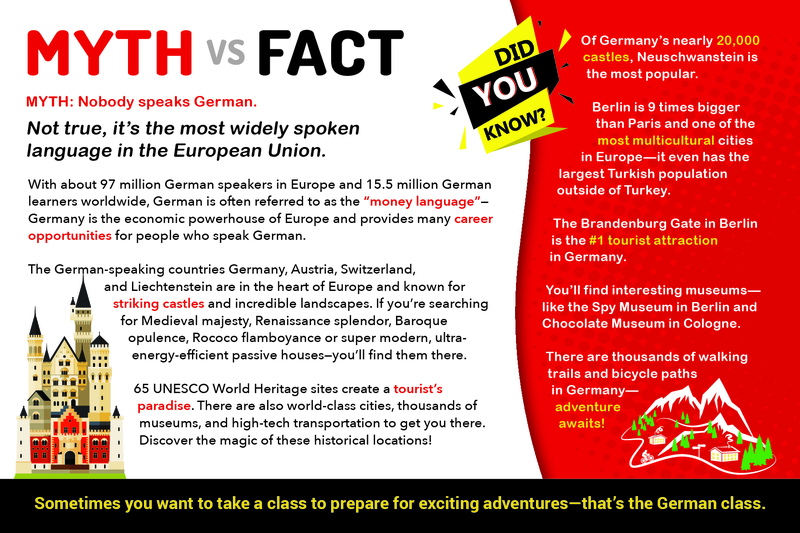 Central to the campaign is a series of 18” x 24” color posters highlighting various aspects of the promotion. 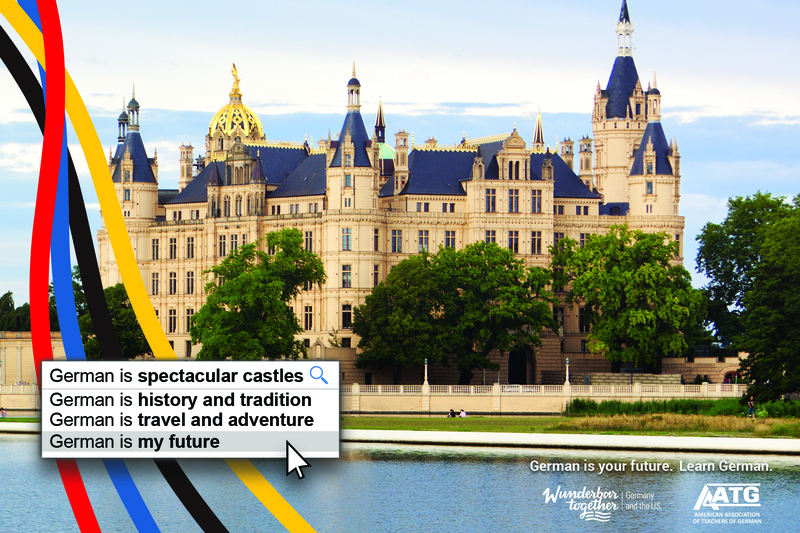 A larger 24” x 36” composite image poster in English and in Spanish language completes the series. 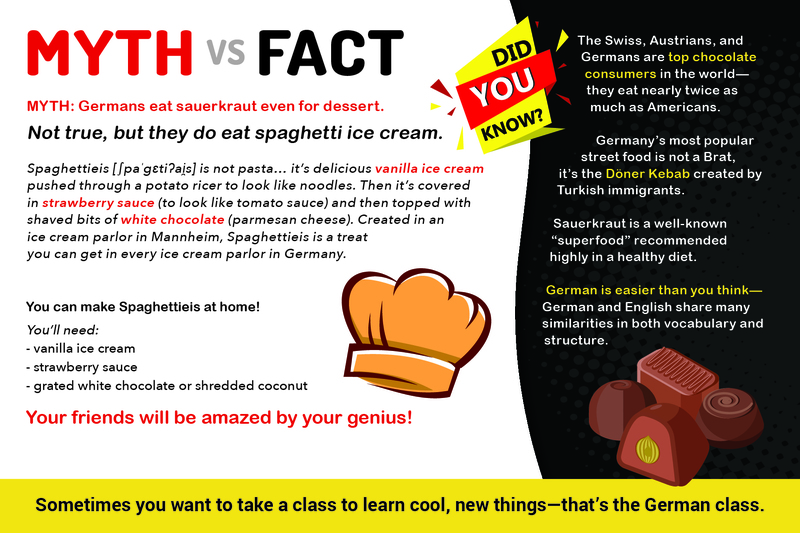 The posters, along with promotional postcards, Gummibären, and other giveaways will be shipped to German teachers starting in December—giving you the materials you need to promote German before registration for next year starts. 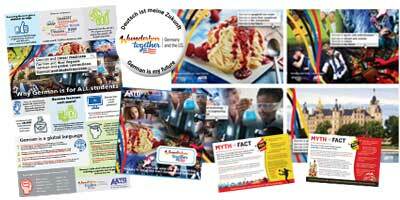 Request these free promotional materials by clicking here and completing the online form. Kits are limited one per person. 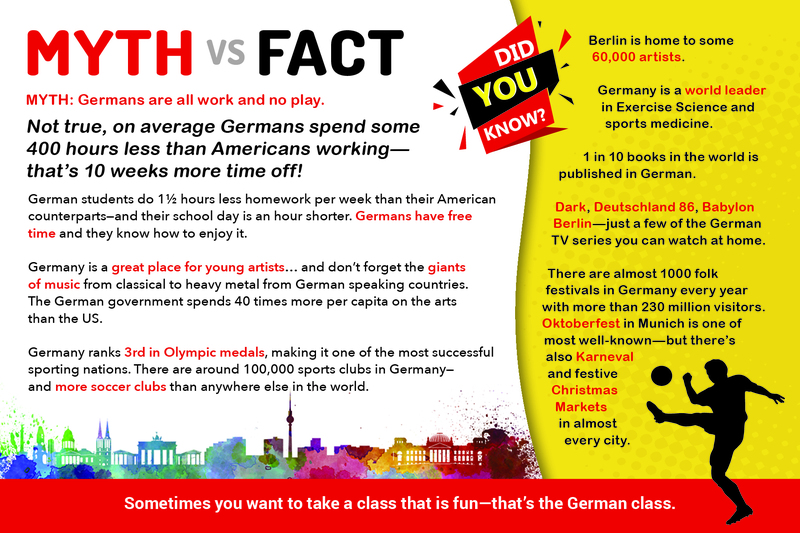 If you've already received materials, you can order additional posters and postcards for the cost of shipping. 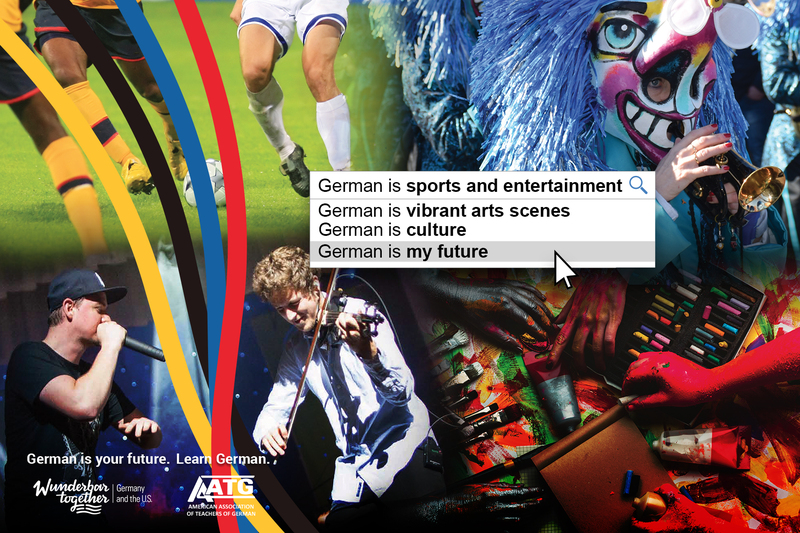 The project “German is my future” is a part of the Year of German-American Friendship initiative in 2018/19, a comprehensive and collaborative initiative of the Federal Foreign Office, the Goethe-Institute, and the Federation of German Industries (BDI), highlighting the decades long relationship grounded in common values, interests, and goals.